Reach farther and dig deeper with the Bobcat 324 excavator. Its 8 ft. digging depth and 14 ft. reach deliver serious digging possibilities in tight areas, with minimal repositioning. Hydraulically retract the undercarriage to only 39 inches to travel through gates or between homes, and then expand to 54 inches for a wider footprint and greater performance. 16" BUCKET 1.21 CU FT DIGGING DEPTH- 8' DUMPING HEIGHT- 104"
TRAVEL SPEED 1.5 OR 2.5 MPH. 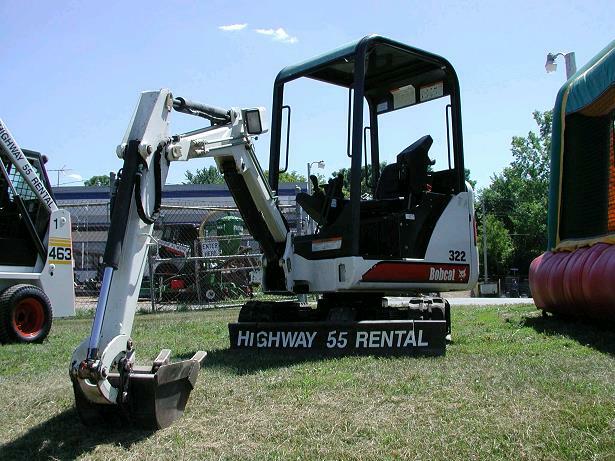 * Please call us with any questions you may have about our bobcat b 324 excavator 8 foot dig x 16 inch in Hamel MN, Plymouth MN and the Twin Cities.